A small slide and drop down below the Farlow Gap trail which is only worth visiting if you're already on this trail during very wet weather. 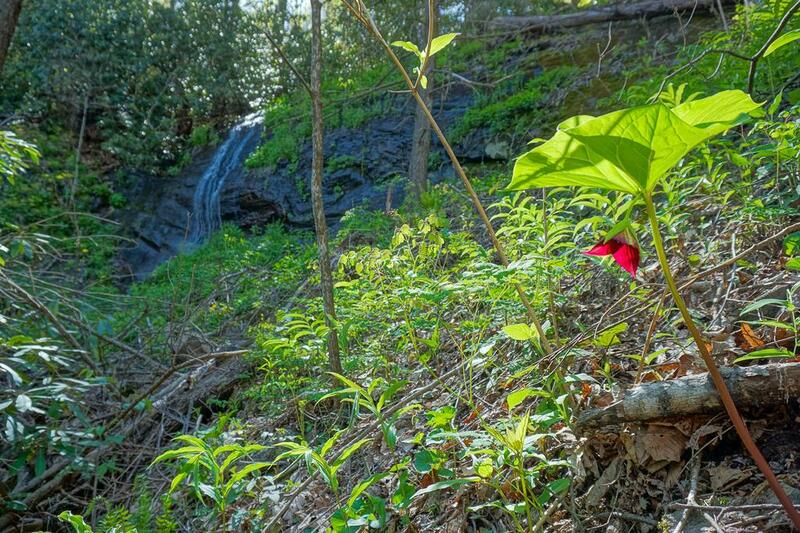 The waterfall is accessible from the tip of the 4th switchback (if coming up) or 2nd switchback (if going down) on Farlow Gap trail. Just follow the old railroad bed a few feet to the base. A similar "wet rock" waterfall is a few yards north, off the tip of the 5th (coming up) or 1st (going down) switchback, really only resembling a waterfall in the wettest of wet weather.